Travelle Gaines sheds light on why today's pros are turning to personal trainers to excel at their game. With any professional athlete, getting the most out of their body is essential from both a competitive and performance standpoint. Now from an early age on, athletes are more aware of how to properly train while also focused on the importance of diet and nutrition to help them perform at the highest level. One commonality throughout professional sports now, particularly amongst the star and elite players, is having their own personal trainers available on demand and year-round. 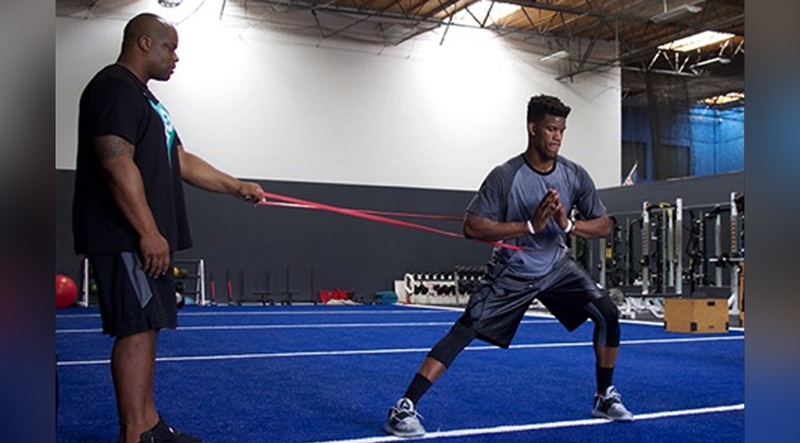 Whether it’s squeezing in a lifting session in between a cover shoot, or waking up at sunrise to work on agility drills, having a top trainer on-call throughout a demanding schedule is now a necessary expense for many of today’s top athletes. With big money contracts and professional careers at stake, more and more players are now hiring these specialized athletic trainers to help keep them on top of their game. Travelle Gaines is one of the most renowned and premier sports performance trainers in America. Gaines star clientele includes top NBA, NFL and MLB players such as Antonio Brown, Jimmy Butler, Draymond Green, Andrew Luck, Dexter Fowler, Lesean McCoy among many others. Retired stars like Marshawn Lynch and Brandon Roy also leaned on Gaines during their careers. His personal training sessions have even extended to the entertainment field, as he also trains music mogul Sean “Diddy” Combs. In the very competitive, lucrative, but often unstable industry of professional sports, Gaines humility and keen focus on getting the best out of each of his clients has led to his players remaining loyal to his personalized, 1 on 1, elite level training services. Not just a trainer, Gaines routinely checks in on each player, to not only see if they’re eating right and following the detailed program he creates for them, but also as a friend and confidant. He makes himself available to his players 24/7 and states he is always just a call, text or flight away. "He knows guys bodies and pushes them," says Chicago Bulls' power forward Taj Gibson, who is currently enjoying the best statistical season of his eight-year career. Gibson sought Gaines' guidance last summer after seeing the progress made by his teammate Butler after the All-Star forward began working with Gaines in the summer of 2015. 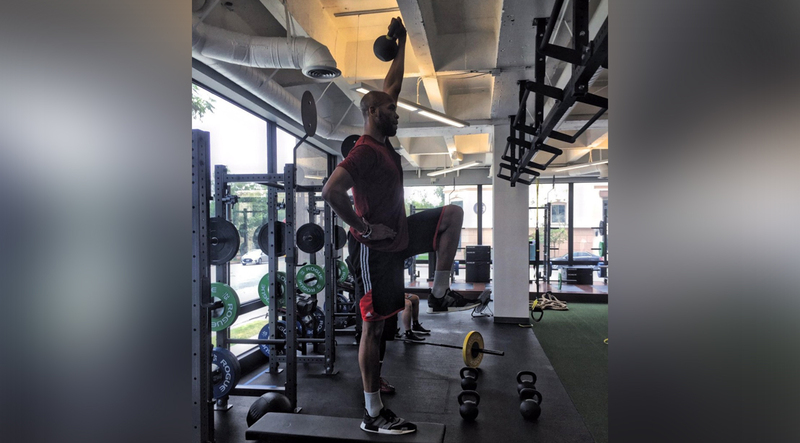 Gibson wanted to focus on strengthening his core body and focused on injury prevention type training methods. Aside from ensuring that his clients are maintaining the unique plan he designs for each of them, Gaines also runs and operates Athletic Gaines, a multi-city, state of the art training facility which is a training hotbed for pro-athletes during the off-season. This includes soon-to-be rookies training for the NFL and NBA Combines and Pre-Draft. Gaines is also set to launch his new site, Daily Gaines, a unique training hub that will offer elite fitness instruction, nutritional tips and specialized workout plans through first-hand guidance and input from some of the best athletes in pro-sports. We recently caught up with Gaines before he was set to begin a scheduled training session at the Chicago Bulls' practice facility with his Bulls clients. We discuss why it makes sense for the NBA’s best players to have their own personal trainers and his insight and experiences from working closely with some of sports’ biggest stars. As with many of your clients, it would appear that most players would hire a trainer for wanting to improve their performance. How true is that assessment? TG: It all depends on what time of the year it is. In the offseason, what I do is I meet with every single athlete that I train and I look back and reflect to see what they did good or bad that year, and see what needs to be improved on for the following season. Some guys may want to focus on injury prevention. Some may want to focus on explosiveness, endurance, cutting weight or gaining weight. I had Shabazz Muhammad of the Timberwolves last summer who lost 32 pounds. He felt he was playing heavy last year and wanted to lose weight. You get a variety of things. So in the offseason, I build the guys' plans to give them the base they need and during the season, since things are so hectic, the goal is to just maintain what we built upon during the offseason. Obviously with me being in Chicago and having a lot of those guys in the offseason, I’m able to continue to make sure their strength, endurance and corrective exercises that we’ve worked on in the offseason are still intact. The offseason is about putting them at a high level that they’ll want to be at and during the season; then it’s about maintaining that level. It seems that we’re seeing more and more guys with their own personal trainers now. Are we in a time where if a player doesn’t have their own training guy, that they’re putting themselves at a disadvantage from a competitive standpoint? TG: I think what happens is with the NBA season being so rigorous and long sometimes you might play four games in five nights. Or you might play one or two games that week, so it’s almost impossible to stick to a set schedule. So the reason why a lot of players have started getting their own personal guys is obvious; if you’re a superstar player like LeBron James or a Jimmy Butler, your offseason travel schedule is just ridiculous. You’re going to China with sneaker companies. You’ve got USA Basketball. You’re flying cross-country doing photo shoots. There’s so much stuff going on that it’s impossible to be at a team facility all the time. Whether it’s a trainer from the team or your own personal guy; you just need someone with you. That’s why a lot of the big name players – once they get that second contract – they typically go out and get their own guy who can travel with them and be at their call. I don’t know that it’s necessarily needed for a lower-tier guy from a financial standpoint. They don’t necessarily have the financial means to really afford a guy that’s going to be around them year round. A lot of time, those young guys are asked to stay around the team city in order to get better and workout with the team. I highly recommend it for a guy like James Harden, Russell Westbrook or a Damian Lillard, guys with a lot of commitments and obligations, so they always have a guy with them to make sure they’re on top of their game from a conditioning, nutrition and court-work standpoint. If you’re a lower tier guy, I don’t think it’s really needed.